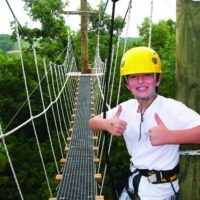 Zip, ride, and soar through the Ozark Mountains and treetops! 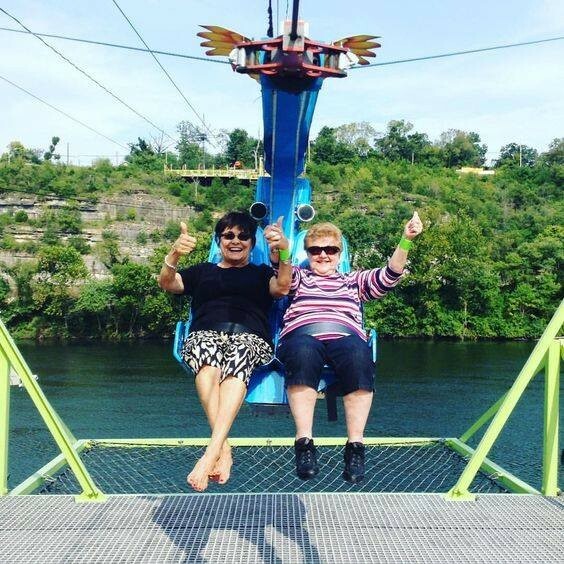 Soar through the treetops of the Ozark forests and over the Ozark mountains on one of the many thrilling zipline activities or attractions on your next visit to Branson! 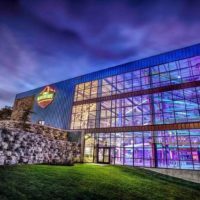 Quickly becoming one of the most popular destinations in the country for these type of adrenaline-pumping rides, this tourist town set in the heart of the Midwest provides the perfect backdrop and setting for adventure! 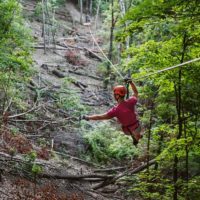 Spread among the Tri-Lakes area, there are several different types and styles of zipline attractions to choose from. 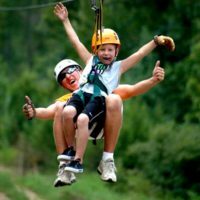 Whether you’re zipping from tree to tree hundreds of feet above the ground, launching 50 mph down a cable from one of the highest vantage points in the area, speeding over one of the area’s popular lakes, or surfing through the sky on one of the most unique rides you will ever see – there is sure to be a zipline that everyone in the family will enjoy! Varying from just a few minutes long to more than 3 hours in length, there is certain to be one that will fit into your schedule or itinerary. 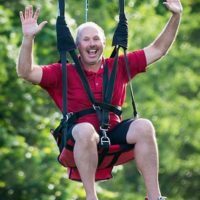 Over the past several years there have been a number of new and exciting ziplines that have sprung up in the Branson area! 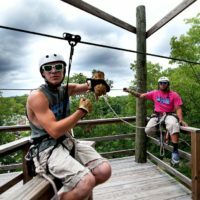 Offering a thrilling and exhilarating way to experience the outdoors and get your adrenaline pumping, you can soar through the treetops of the Ozark Mountains and see some of the beautiful scenery that the area provides! No matter if you’re staying in the heart of town or on the perimeter – the locations of the various attractions provide easy access no matter where you’re at! 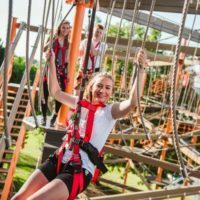 For one of the most fun and unique things you can do while you’re here – you may want to discover for yourself one of the heart-pounding zipline rides for an experience that everyone is talking about!